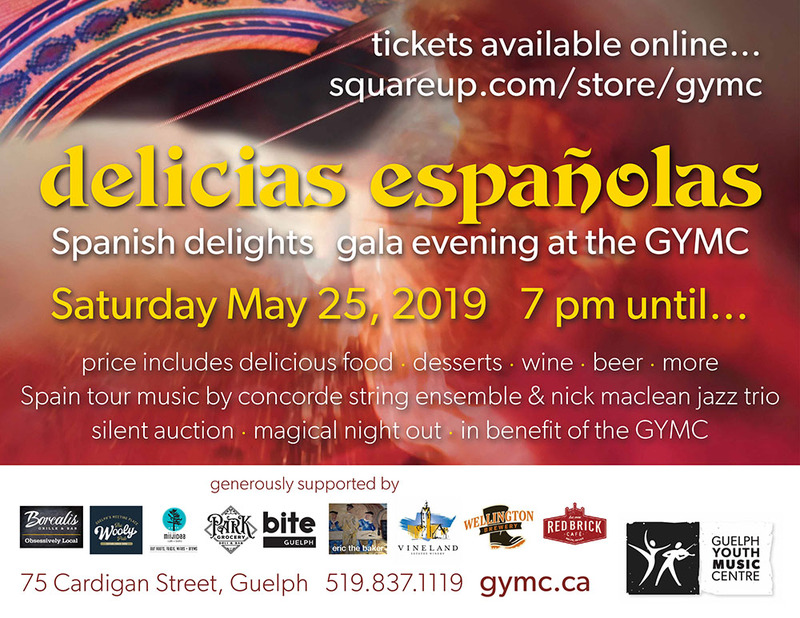 Delicias españolas (Spanish Delights) GYMC Gala Evening, this time with a touch of Spain! 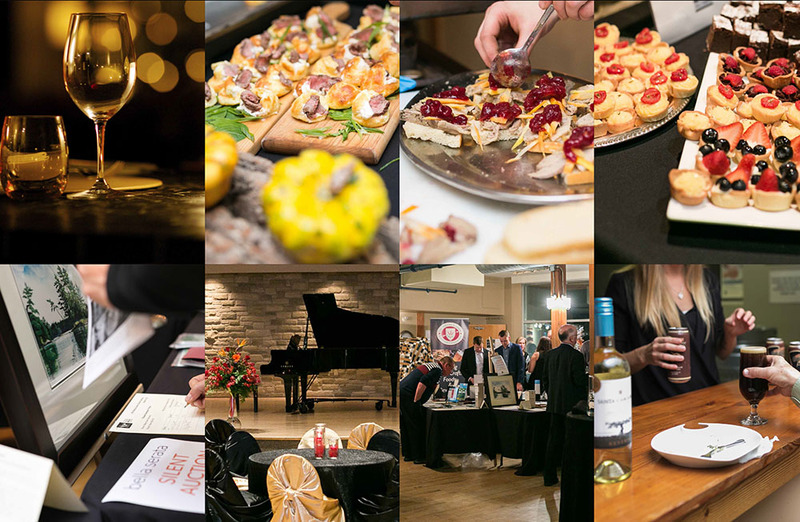 Delicious food, desserts, wine, beer, live classical & jazz music, and silent auction. 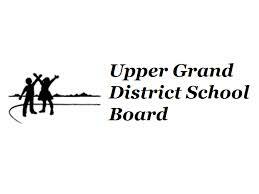 A magical night out in benefit of the GYMC on Saturday May 25 at 7 pm. Delicious food by Borealis Grille & Bar, Miijidaa Café & Bistro, The Wooly, Park Grocery, and Bite Guelph. Desserts by Eric the Baker. Libations from Vineland Estates Winery & Wellington Brewery. Coffee & tea from Red Brick Café. Entertainment by Concorde String Ensemble, performing music from its recent tour of Spain, and jazz by the sensational Nick Maclean Trio. PLUS an exceptional Silent Auction!